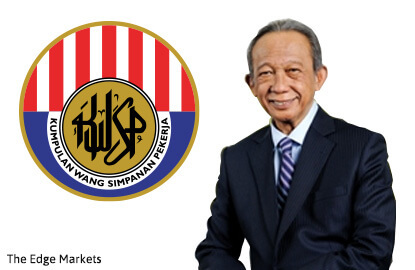 KUALA LUMPUR (Aug 10): A median projection by the United Nations that by 2030 Malaysia will be an aged country, with 14% of the population or 5.2 million people aged 60 and above, should serve as a wake-up call for Malaysians to plan and act now, according to Employees Provident Fund (EPF) chairman Tan Sri Samsudin Osman. He said this during his keynote address at the International Social Security Conference 2016. "From there, it will only take a mere 15 years for Malaysia to become a super-aged country with 21% of our population above 60 years old. Before you know it, it will be 2030 and we will be hit with the issue of depopulation, [like] what is being faced by Japan now," Samsudin said. Samsudin warned that 14 years is a very narrow window of opportunity to tackle a complex issue such as social protection. EPF has been engaging with various stakeholders such as ministries, agencies and non-governmental organisations (NGOs) to provide input in developing policies and legislation in areas relating to social protection such as the minimum retirement age, minimum wage and re-employment policy in view of the potential crisis. During the press conference, Samsudin also shared how the EPF has been actively raising awareness to the members and the general public at large of the importance of financial planning for retirement. "Together with all other agencies like Ministry of Health, Ministry of Finance, Social Security Organisation (SOCSO), we try to create awareness of ageing society and how people survive and sustain through the period after retirement. "We also have the retirement advisory service (RAS), which is a free service offered in all the major branches in the states, and it is becoming very popular. When we started, we didn't know how people will react. But people now come to us seeking advice on how to manage the retirement plan. We have certified financial retirement advisers stationed to offer the guidance required," he said. "The good news for most Malaysians is that our average life has increased from 50 years of age in the 1950s to the present age of 75. Therefore the issue that we need to address is not the increasing number of years, but the quality of our life as we grow older," Samsudin added. In view of that, the theme of "Active Aging" has been chosen for the conference. EPF deputy chief executive officer Tunku Alizakri Raja Muhammad Alias told the media during the press conference that the issue of active ageing is very large and needs the engagement of all the stakeholders, on both the government level as well as the NGOs. "Because when you are to talk about issues in active ageing such as happiness, it is not just about wealth. It's also about health. It's also the ability to contribute and making sure the availability of the proper infrastructure for our people to be able to live a high quality of life, and that is beyond the purview of EPF. But what we can contribute is we can give the thought leadership, we can prompt and be a part of the consultative aspect. We can help to give the right direction and push," Alizakri said. Samsudin noted that there are many policy responses and initiatives to active ageing that the country could emulate to achieve the same successes in other countries, such as in Australia, Singapore and even the European Union. "With these many positive and proven examples already in place, it is timely that we in Malaysia can now learn from these initiatives and, where possible, adopt and implement them in our own society," Samsudin said. The International Social Security Conference 2016 is a two-day conference, jointly organised by EPF with State Street, discussing health ageing and establishing age-friendly communities as well as encouraging engagement of the growing senior generation in the economic and social landscape.